Gravity Rush's pre-order bonuse is now available to PSN purchasers. 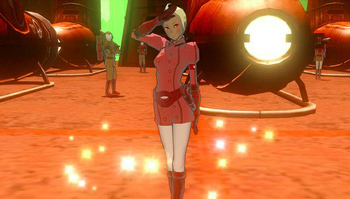 Customers who missed Amazon's Gravity Rush pre-order bonuses, can still get the "Military" DLC pack, which contains a new costume and a handful of new missions by purchasing the game on PSN where it's slightly cheaper. Assuming you want a nice, solid, real-world copy of the game, you'll still be able to buy the DLC when it's released on July 24th for $3.99. Following that, you'll be able to pick up the "Spy Pack" for the same price on June 26th. 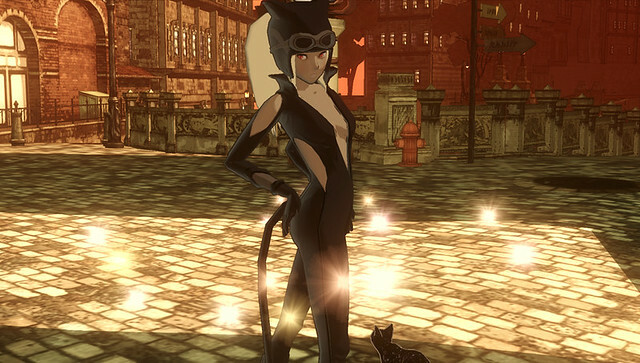 It comes with more missions and a spy costume - of course, "spies" apparently dress like modern-era Catwoman in the Gravity Rush Universe, presumably so they can infiltrate chiropractor conventions. If that isn't fetish-tastic enough for you, the "maid pack," goes live on July 10th and ... yeah, you can probably guess what that contains.